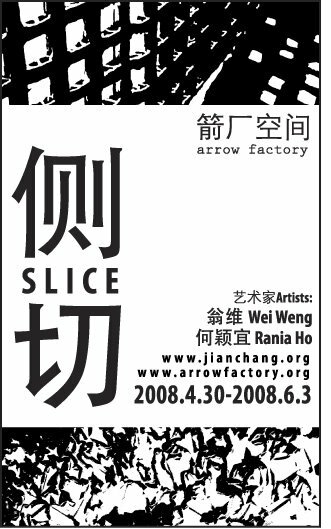 presented by the Arrow Factory, a new storefront space for art in in Beijing. 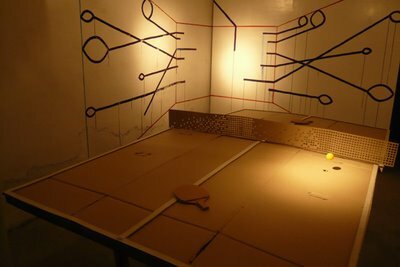 I've just set up a ping-pong table made of cardboard that levitates ping-pong balls! Wei has created a stunning mural on the back wall. Wah! If you happen to be anywhere near the Confucius Temple in Beijing, come on by. 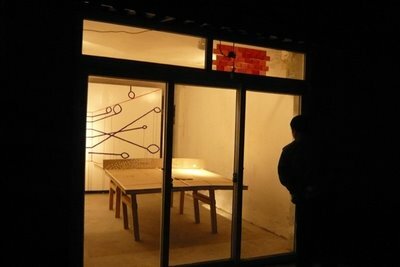 The works are on view almost any time of the day or night.